Perfect blend of weight and padding for a cushioned minimalist shoe. 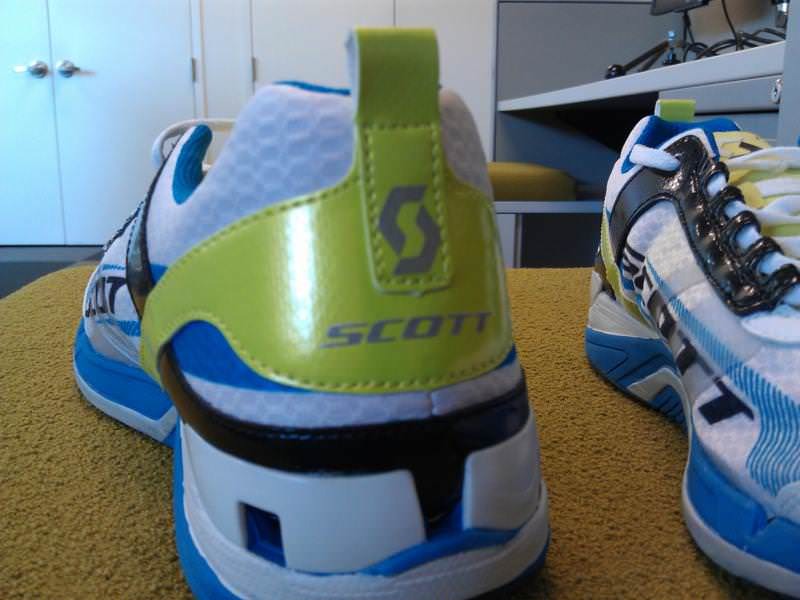 The Scott T2C provides an eminently enjoyable running experience, albeit at a hefty price tag. Minimalist runners seeking a slightly-larger heel. 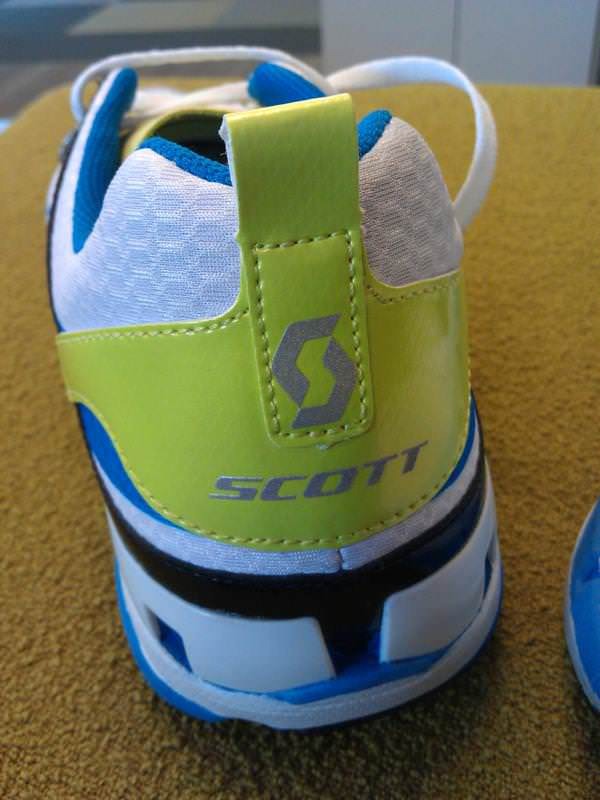 The T2C is a lightweight performance shoe within Scott’s performance running line, aimed at bridging the gap between training shoes and racing flats. Featuring a rocker-shaped sole, the shoe seeks to guide midfoot striking and help foot turnover. The T2C provides excellent tactile response due to its slim sole unit, but also provides just the right amount of cushioning to keep the stress of foot contact at bay. Considering the shoe weighs a scant seven ounces, the amount of cushioning versus heft is commendable. The T2C’s upper is comfortable and well ventilated, featuring a soft tongue and spacious toe box. The T2C was a good-looking shoe from the onset. 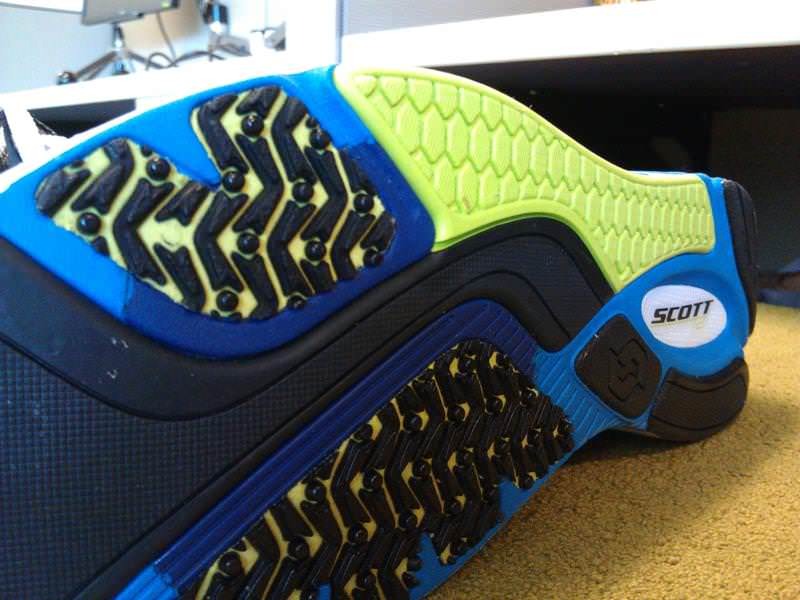 Featuring a well-designed (but not overly-designed) outsole, lightweight upper, and a fair amount of cushioning, I was eager to see how this model compared to the Scott Race Rocker, which I also had the opportunity to test and review. The T2C lived up to my initial expectations, providing a comfortable running experience with cushioning in a noticeable yet complementary manner. Though the heel was thicker than I am usually accustomed to, the shoe provided an excellent and comfortable experience during long and short distances. 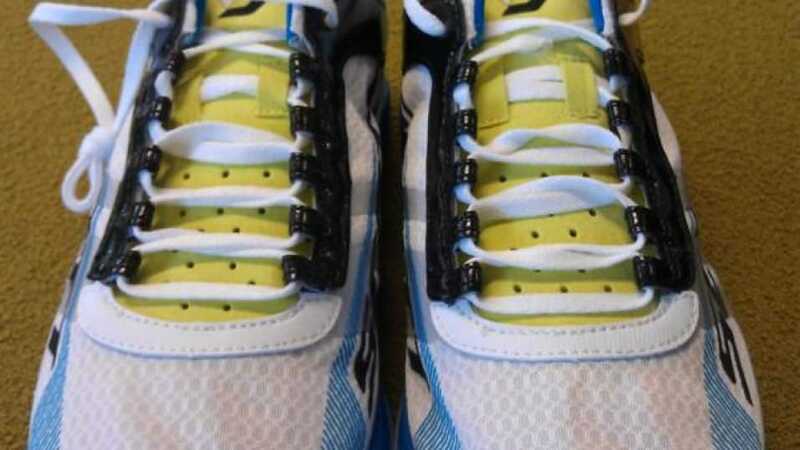 The sole of the T2C is the heart of the shoe. Featuring a rocker design, the shoe helps promote minimalist foot strike without being obtrusive. As a midfoot runner myself, I noticed the shoe providing complementary guidance during foot turnover. This element of the shoe, however, was not domineering and did not force my foot to move much more than it would on its own—though it is possible this might be more pronounced for runners accustomed to heel-striking. The eRide technology throughout the sole provides a cushioned and stable platform as well, creating a comfortable running experience throughout all stages of footfall and turnover. The T2C’s upper is thin, comfortable, and breathable—the three tenets of a good minimalist shoe. With a nearly-translucent mesh over the toe box, the upper provides a dynamic and flexible experience that allowed my feet to move naturally and without much restriction. The thin material throughout the upper kept my feet dry while also protecting them from the elements. As a triathlon-oriented shoe, I could see how the T2C would fare well in an environment where soggy conditions are a given. 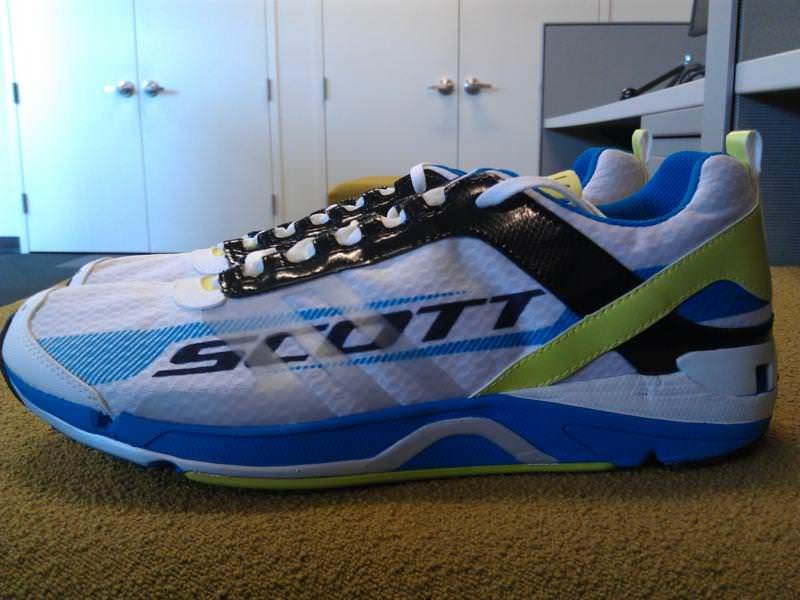 The Scott T2C is a versatile shoe that stands up to whatever you can throw at it. A more cushioned recovery shoe for minimalist runners, a racing flat for neutral shoe-wearers, or an all-around trainer for anyone in between, the T2C provides an excellent, comfortable ride on runs of any distance (and over any terrain). Though a bit on the expensive side, the shoe provides a comfortable and enjoyable experience for its price tag. 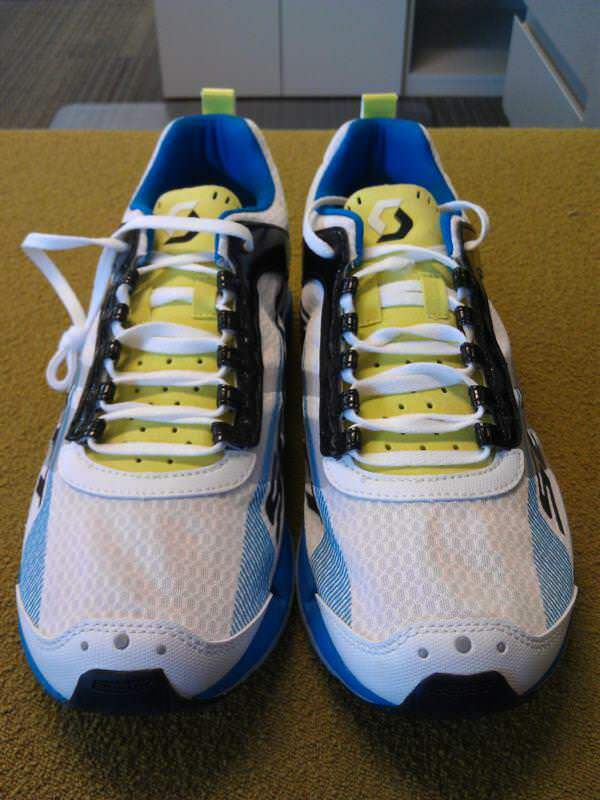 With just a bit of guidance in the heel and midfoot, the T2C could be a great weapon in any runner’s arsenal. 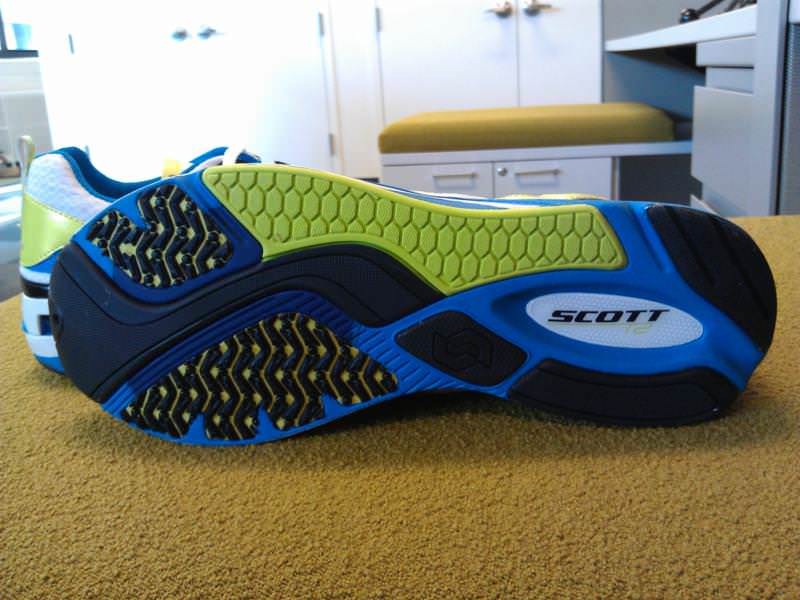 We thank the nice people at Scott for sending us a pair of T2C to test. This did not influence the outcome of the review, written after running more than 50 miles in them. light weight but quite cushionated shoe. great foot comfort (neutral foot).